States, however, will have the option to choose between the two exemption thresholds of Rs 20 lakh and Rs 40 lakh and will have to intimate their decision within a week. The GST Council on Thursday approved doubling of the exemption threshold under Goods and Services Tax (GST) regime to Rs 40 lakh along with raising the turnover limit under composition scheme to Rs 1.5 crore from current Rs 1 crore with effect from April 1. States, however, will have the option to choose between the two exemption thresholds of Rs 20 lakh and Rs 40 lakh and will have to intimate their decision within a week. The revenue loss on account of hike in exemption threshold to Rs 40 lakh is estimated to be around Rs 5,200 crore, assuming 50 per cent of the taxpayers will go out of GST, an official said. Other 50 per cent is still expected to stay within the indirect tax regime to take the supply chain benefits under GST. Finance Minister Arun Jaitley said the GST Composition Scheme, under which small traders and businesses pay a 1 per cent tax based on turnover, will also be extended to service providers up to a turnover of Rs 50 lakh at a tax rate of 6 per cent. 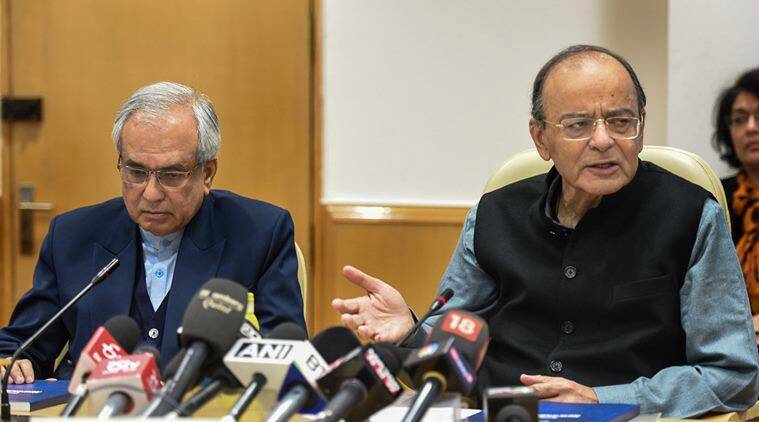 On GST rate for real estate, the council has decided to form a seven-member group of ministers after differences of opinion emerged at the meeting, Jaitley said, adding there were diverse views on lottery. A ministerial panel will look into it as well. Jaitley said those opting for the composition scheme would have to file just one tax return annually but pay taxes once every quarter. “A very large part of GST comes from formal sector and large companies. Each one of these decisions is intended to help the SMEs. You have given them various options. If they are in service sector, they can get 6 per cent compounding, if they are in manufacturing and trading up to Rs 1.5 crore they can get 1 per cent compounding. They can make use of exemption of up to Rs 40 lakh,” he said. The finance minister said there would be two thresholds — Rs 40 lakh and Rs 20 lakh — for exemption from registration and payment of the GST for the suppliers of goods, with the facility that one can ‘opt up or opt down’ depending on revenue. “Few states had a view that if the turnover threshold is hiked to Rs 40 lakh, their assessee base gets eroded. So if they inform the Secretariat within a week then they would be given the option to opt down. Puducherry has kept this option… This is a one-time exception and does not affect businesses with inter-state supplies,” Jaitley told reporters after the meeting. Under the composition scheme, traders and manufacturers can pay taxes at a concessional rate of 1 per cent, while restaurants pay 5 per cent GST. There are over 1.17 crore businesses which have registered under the GST, which was rolled out from July 1, 2017. Of these over 18 lakh have opted for composition scheme. While a regular taxpayer has to pay taxes on a monthly basis, a composition supplier is required to pay taxes on a quarterly basis and is not required to keep detailed records compares with a normal taxpayer under GST. The council in its November meeting had hiked the threshold for the composition scheme to Rs 1.5 crore, which will now be effective from the beginning of next fiscal.